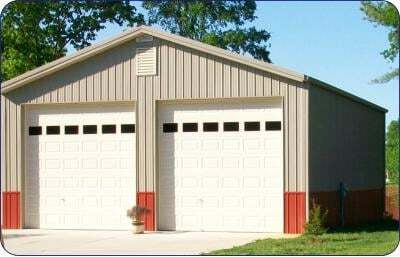 Are you looking for fabricated metal buildings with uncompromising quality and durability? American Steel Buildings is worthy for consideration. It prides itself as using the finest quality steel available in the market today. Especially those in mega sizes that require obstacle-free interiors, including warehouses, aircraft hangars, gymnasiums and more. It offers a full range of services from design and engineering to construction supervision. American Steel Buildings has particularly established a good track record of performance in aircraft hangar design. In fact, more than three-fourths of its hangar business is consists of repeat or referral customers. Its proven engineering designs offer state-of-the-art exterior finish options that may include wood accents, stucco facades, stone, and brick or block. With American Steel Buildings boring metal boxes become a thing of the past while project complexity is no longer an issue. The company also offers pre-engineered metal buildings that are not only a quick solution for relatively simple structures. Its technological advancement, combined with its creative capabilities, produces buildings that are not only functional but also aesthetically appealing. American Steel Buildings’ operation is not only limited in the U.S. It is also serving in other countries in Asia, Middle East, Africa, Arctic regions, European Union and the South Pacific. Why choose American Steel Buildings? 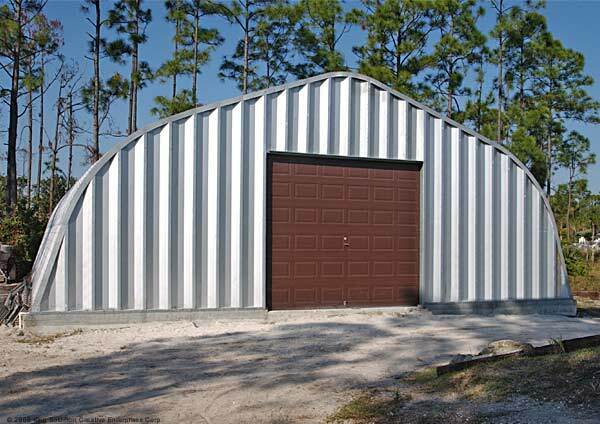 Cost – American Steel Buildings offers high-grade steel buildings at the most affordable prices available. Speed of construction – With American Steel Buildings, you can save half of the money spent through conventional building construction. With American Steel Buildings, you can expect a quick turnaround. Through its network of authorized dealers, the company gives you fast and accurate quotes, and full computerized design capabilities. The company also provides a single-source capability and hence you are assured of greater economy, faster delivery, precise planning and better results. It can assist you in determining the building requirements and in designing the most functional layout. It can also help you manage all the details of construction.American Steel Buildings also offer pre-engineered buildings which are the best solutions when delivery schedules are critical. Efficiency – American Steel Buildings’ technology and engineering are highly efficient in creating structures that exceeds standard loading or size requirements and allow for easy expansion in the future. It pays strict attention to every detail of the building, from slope to overhang. It ensures that each building is not only aesthetically appealing, but more importantly, functional. The company has ample resources available for online transmission to design professionals. American Steel Buildings’ experienced personnel for project planning works with the customers with the same level of commitment from the start until the project is completed. Every customer is ensured of technical assistance from placing an order to delivery. It helps you consider all your options and assist you in choosing the right solution for your project. American Steel Buildings also know about special engineering requirements customers may have in securing permits and has the solutions. You may also enlist their help in ensuring fast completion of your building permits. With over 50 years in the business, American Steel Buildings just know it well how to design buildings that could stand the impact of extreme cold, snow loads, hurricanes and cyclones. Buildings made by American Steel Buildings are engineered in strict compliance to the quality of standards set by the Metal Building Manufacturers Association. The process of ordering a building follows seven easy steps. Depending on the complexity of the project, the whole process -from requesting for a quotation to the delivery of the building – could take 6 to 8 weeks. Request for quotation. You may contact American Steel Buildings through their hotline: 1-800-511-3670 or send a message at [email protected] A company representative will attend to you shortly. A quote request form is also available online. You may click here. For faster processing, you may also visit their office in Murfreesboro, Tennessee. Settle initial deposit. Once the quotation has been accepted, you may proceed to contract signing and is usually asked to pay a permit drawing deposit that is 10% of the total contract. The initial deposit should not be less than $1,500. What is interesting about the American Steel Buildings is that they do not require large deposits. They wait patiently for you to proceed with your payment as per your schedule and at your own pace. Process engineered drawings. Wait for up to 3 working weeks for the processing of engineered drawings. The time span may be longer for more complex projects. Obtain necessary building permits. After receiving the engineered drawings, you need to bring the drawings to your local government and fulfill other requirements for securing building permits. Arrange a schedule for the fabrication of the building. A 25% deposit is usually required at this time. If you require any changes to the original plan, do so before arranging a schedule for the fabrication. You may be charged for changes requested during fabrication. Fabrication of the building could last for 6 to 8 working weeks. Again, the length of time required to complete the project depends on the complexity of the project. Delivery. The Finished product comes with a complete Bill of Lading that details fully every part of the building. This is useful during your inventory. You or your construction representative will be responsible for the unloading of the building from the truck. Upon receiving the building, do a complete inventory to check if there are any missing or damaged parts. American Steel Buildings has a wide network of general contractors and building installers. You may ask them to recommend to you a good one that will help you in setting up your building. This saves you from the hassle of selecting from a great number of construction companies in your local area. You are also secured that you would get a reliable one. No more bad contractors. 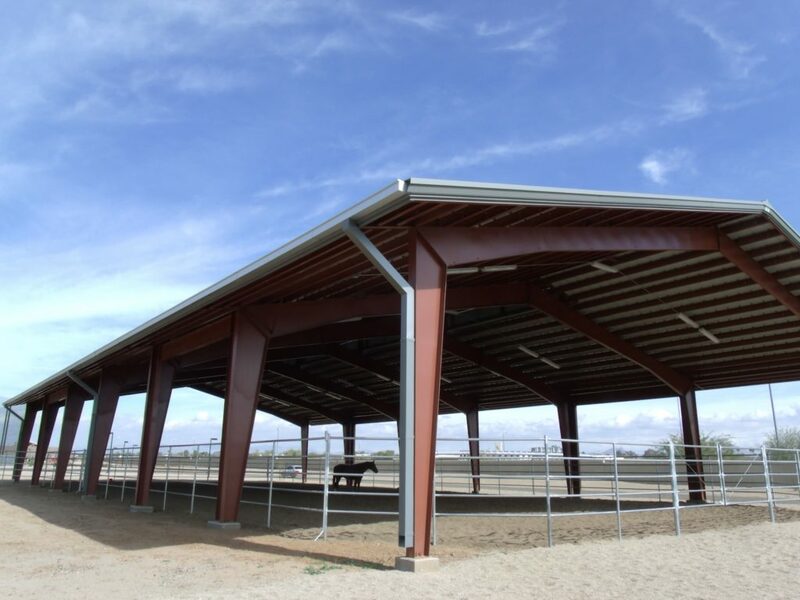 Pre-engineered steel buildings can’t be mentioned without calling into mind American Steel Buildings, one of the biggest distributors in the United States and worldwide today. American Steel and partner A&S Building Systems has had more than 50 years of experience in the business, serving a number of industries through the years thanks to its ever expanding service and product lines. American Steel’s roots goes back to A&S’ founding in 1958 in Houston, Texas. To support the demand for large scale steel structures and products, A&S opened a manufacturing plant in Caryville, Tennessee in 1972. Soon after in 1988, the company offices were transferred to the Tennessee facility. To date, A&S and American Steel continue to design and fabricate pre-engineered steel buildings for residential, commercial and industrial use. The company caters to a number of requirements for building types, including hangars, church buildings, commercial establishments, mini-storage facilities, garages, warehouses, recreational facilities and others. Roof panels and wall panels with insulation option may also be provided. Framing types can be accessible for custom orders, whether for residential or commercial use. American Steel also manufactures accessories for storage facilities in the form of vents, windows and doors, skylights, canopies, partition walls and many more. Clients won’t have to look farther when they need to construct a building from the ground up — professionals from American Steel Buildings can provide this service and more. American Steel’s products are also guaranteed to be of the highest quality of steel. The company believes that all clients are working with a timetable: this is why professionals from the company can guarantee the quickest construction at the lowest cost in the market today. American Steel values speed, cost and quality, ensuring customer satisfaction all the way.